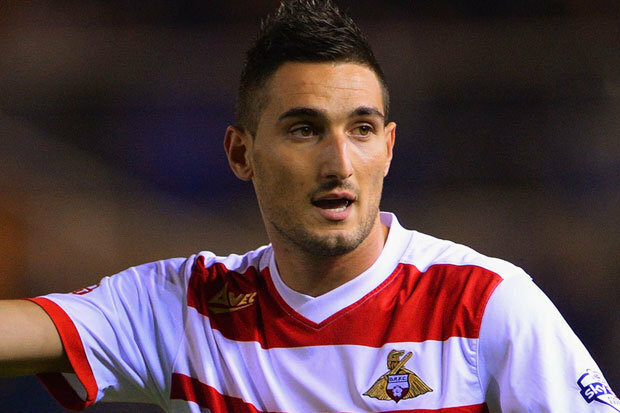 Federico Macheda has revealed that he is still in touch with Manchester United manager Sir Alex Ferguson. Regarded as one of the greatest managers in the world, Ferguson enjoyed a stellar career in which he managed some of the best players in the world like Cristiano Ronaldo, Eric Cantona, and Ruud van Nistelrooy. Yet, he appears to have found time to keep in touch with a former United player who has just signed for Italian Serie B team Novara.Machedawas one of the youth team product that United and the Italian made a stunning debut by scoring a late winner against Aston Villa as a 17-year-old. However, they were one of the few good moments in his career.Macheda has struggled with injuries throughout his time as a professional, while he has been unable to get much form going as well. This resulted in the player spending a lot of time on loan at various clubs like QPR and Sampdoria just to get some regular first-team football. Recognising that he would no longer make the cut at United, the club allowed him to join Cardiff City on a permanent basis.Macheda, though, says that not all of his time at United was forgetful, as he says that he learnt a lot from the likes of Wayne Rooney and Carlos Tevez. “Sir Alex Ferguson is a great person and has taught me so much. He called me three weeks ago to see how I was and how my career is going. He coached the greatest players in history, and the fact that he thinks about me makes me proud.When I was little I watched [Zlatan] Ibrahimovic. He was the striker who showed me the most important things.I played with many stars, you can always learn something and this made me better,” saidMacheda.